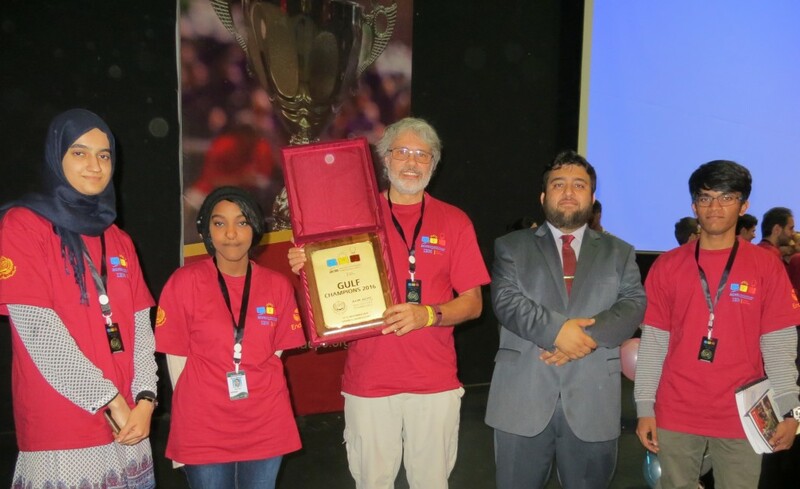 A GUtech team named ‘GUtech Eagles’ has won the title of ‘Gulf Champions’ during the 2016 Arab Collegiate Programming Contest (ACPC) held in Egypt. The programming team was the most successful among other GCC teams. The contest was sponsored by IBM. The GUtech team included Prof. Dr. Rudolf Fleischer of the Department of Computer Science (Coach) as well as Abir Al-Ansari (Contestant), Neeraj Krishnan Gopikrishnan (Contestant) and Maram Mohamad (Contestant).